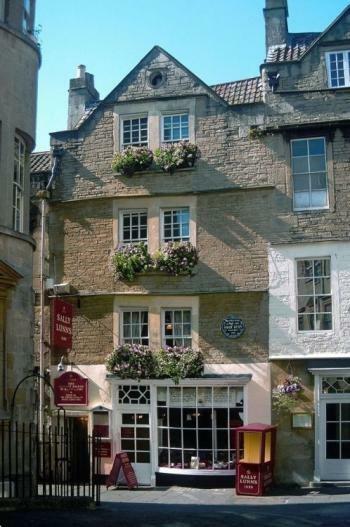 Hi Jane and welcome to Bath and Sally Lunn’s. It’s lovely to be able to talk to you today and the first question I always ask my guests is to tell me a little bit about themselves. Now I know you live in the Lake District and have created some amazing book covers but that’s about all. Maybe you could expand a little. As well as writing and designing I also run the writing magazine Words with JAM – it fits really well with everything that I do, each aspect of my professional life working in conjunction with the others. I also have three boys aged 7 and nearly 3-year-old twins. They definitely keep me busy, but not being tied to working certain hours in an office is amazing and allows me to spend time with them and fit work around them. How did JD Smith Design come about? I’ve been a graphic designer since I left school, and I’ve always had an interest in writing. So when I was made redundant in April 2012 and decided to go freelance, I naturally found my main source of work was writers wanting book cover design and formatting, and I love it, I really do. What do you most enjoy about creating book covers for writers? I have a passion for books generally, so being a huge part of the physical book production process is extremely rewarding. I also love being able to give authors the opportunity to have input into visualising their books that they wouldn’t get in the traditional process. How long have you been writing yourself and what made you want to take on this new role? I’ve been writing for nearly eight years now and have written three and a half novels and numerous short stories. I used to sub a long time ago to agents, but writing isn’t something I want or need to do full time. I don’t have that passion about publication that others have, I like writing for myself. But working closely with Triskele Books on their book design, I was really inspired, and when I was asked if I would publish Tristan and Iseult with them for their June 2013 collection, I couldn’t resist being a part of the team. Can you tell us about your route to publication? Triskele Books is an author collective. We each retain our own rights, royalties and have full control of our material. The only difference is that we work closely together, ensuring everything produced is high quality material, fully copyedited and proofread and we assist each other in marketing and sharing information. It’s a really great support network which keeps everyone motivated. The legend of Tristan and Iseult is well-known and, I think, a really sad one. What made you choose this and how did you go about put your own interpretation on it? It is a sad one. I chose it primarily because I have a keen interesting in history and legend. Particularly when there’s a lot of fact surrounding it, and especially this one because it’s based in Britain, or Briton, as it was then. I would have rewritten the legend of Arthur and the Knights of the Round Table, but I think that one may be a little too ‘done’. As for my own interpretation, I’m not entirely sure I have, or not consciously. I know the basic facts of the 12th century French poetry, and the film produced by Ridley Scott, but, I don’t know, I just sort of have the characters and the basic structure from documentation then I flesh it out, and as I do I subconsciously tweak and change things to make them better. I think that’s what every writer does. So what are you planning next? Will you stay with the historical theme or choose a completely different subject? Historical. I don’t think I could write anything else. I already have a series well under way documenting the rise of the third century Palmyrene Queen Zenobia, who rebelled against the Roman Empire. The first book will be released in time for Christmas. And now for the frivolous questions – what three things would you take with you if you had to go and spend time alone on a desert island and why? My phone because I can’t live without it. And probably a spare one just in case the first one broke. And a football called Wilson … just kidding. I’m not sure I’d be very good at being on a desert island for any great length of time. I’d start inventing all sorts of jobs to do. Within a month it would have its own economy. And if you were hosting a dinner party, name four people you would like to invite and the reasons behind the invitation. Other than four of my own friends? Hmm, tricky one. Sean Bean because I’ve always fancied him. Jonathan Ross because I like his sense of humour. Bernard Cornwell because he’s my favourite author. And Dave Lamb from Come Dine With Me so that he can ridicule me in person. Many thanks for coming along and giving us a peek into your world, it was great to meet the person who has designed such fabulous covers for so many writers, including me! Lovely to read this Jane and thanks Jo. The artwork is wonderful, congrats. I am sure that you will find lots of new reading fans now and many authors needing great covers. Good luck with both.